Hugh Haynie, left, receives third award from Miss Mary Ann Nelson. Doug Whitlock on left and Keen Johnson on right. 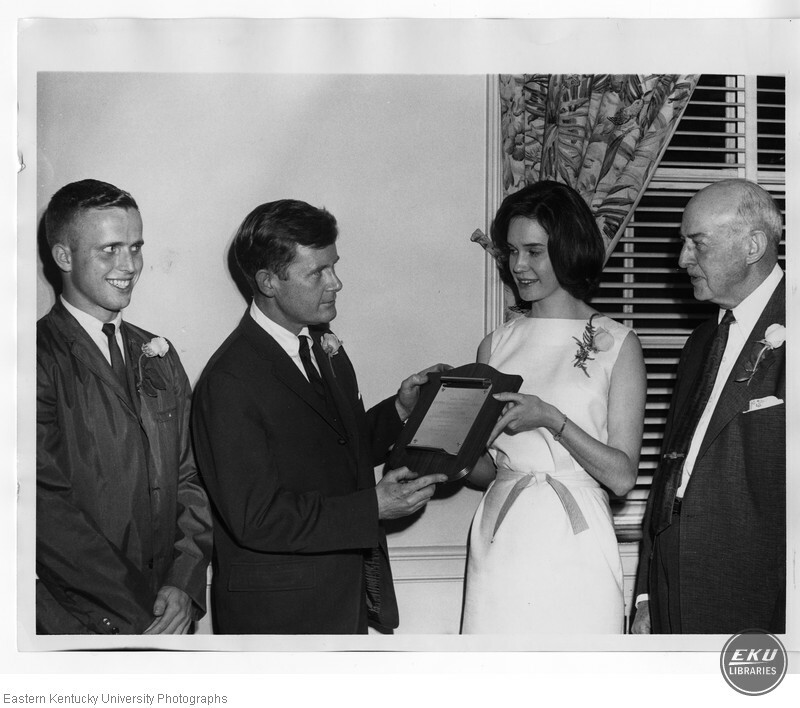 “Eastern Progress Award ,” Digital Collections, accessed April 22, 2019, https://digitalcollections.eku.edu/items/show/43755.